Be Creative with Workbox is for all enthusiasts of embroidery, patchwork, quilting, and textiles. It includes creative designs and new ideas. Buy a single copy or subscription to Be Creative with Workbox magazine. 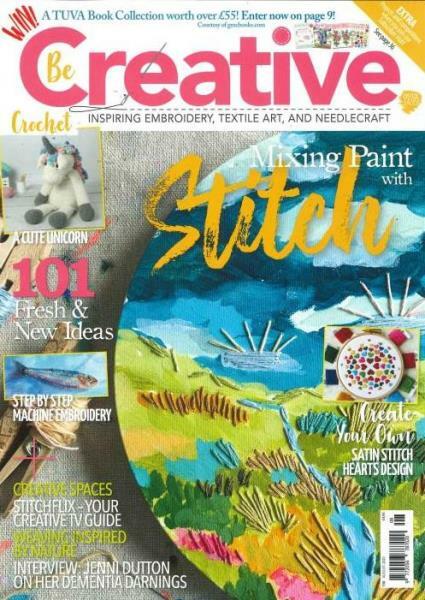 Be Creative with Workbox magazine is one of the leaders to the ever growing number of needlecraft magazines available. From the first issue, Workbox set out to stand as a source of information and inspiration for its readers and from then on every issue has gone into great detail on many subjects in needlecrafts, textiles and fabrics as possible, with articles by leading authors and practitioners in their particular subjects. New ideas are explored and traditional methods are explained with great use of colour pictures. Buy a single issue or subscription with Unique Magazine and never miss an issue.